Directed by Crystal Sullivan PT, ERYT500, C-IAYT and Shelley Nyren OTR/L, ERYT500, C-IAYT. 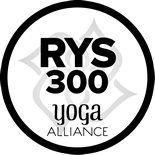 The aim of CrossRoads 300 (500) Hour Yoga Teacher Training is to provide a nurturing environment for 200 hour RYT’s to deepen their understanding, personal practice and/or ability to teach yoga. In addition to the exploration of yoga’s deeper practices, CrossRoads 300 YTT enrollees will delve into a therapeutically oriented segment that will enable enrollees to apply the tools of yoga and Ayurveda to create individual yoga practices for themselves, each other and community volunteers who seek restoration of balance (body, mind and/or spirit). The program is open to graduates from any 200 hour Yoga Alliance registered training. Upon completion, graduates achieve RYT500 status. Without exception, there will be no refunds or credits available once matriculation begins. Please understand our cancellation policy is firm. Tuition fees are subject to 1.0635% CT sales tax. WEEKEND PROGRAM: COMING JANUARY 2020!! Exploring forgiveness, fear and obstacles to growth. Deliver, attend and constructively critique student-led workshops. *All CrossRoads enrollees AND GRADS receive FREE and unlimited yoga at SoulSpace Yoga & Wellness. *CrossRoads 200YTT meets Wednesdays and the third weekend of every month. There is no over-lap in programs.